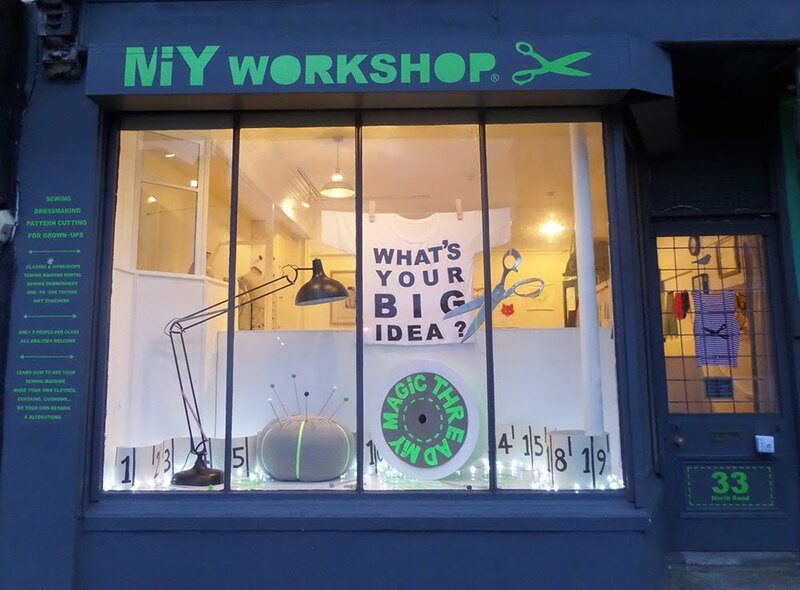 This month we are excited to be speaking to the lovely Wendy Ward from MiY Workshop and of course the Wendy Ward blog. 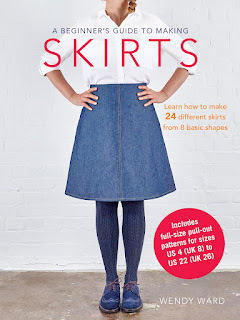 We have Wendy's fabulous MiY patterns available on the site here and we love everything she does! 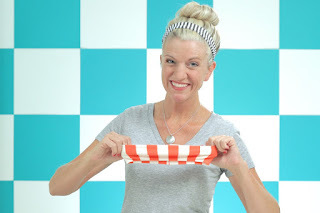 Her blog posts are always interesting, intelligently written and full of useful information. I did a degree in Fashion in Manchester and worked as a designer and product developer in industry for various high street retailers. I think the highlight was probably having my designs stocked in Harrods for the ethical clothing company that I was then designing for! I also have an MA and after working in industry for 7 years decided to retrain to teach and did a PGCE. 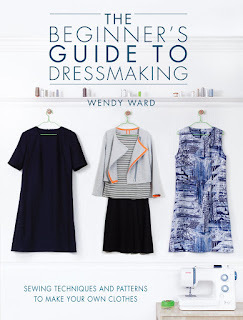 After my PGCE in 2007 I started teaching dressmaking in adult education centres. 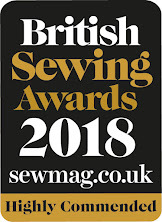 When I’m not sewing I like to be outdoors and active – I have 2 dogs who make sure I get outdoors everyday no matter what the weather’s like and I love walking in the countryside, particularly in the Peak District close to my home-town of Sheffield. I also enjoy the gym, it’s my downtime and I’m quite partial to the endorphin hit I get from it! I’m trying to draw more again and I’m also learning to play trumpet, but it’s all about time isn’t it. There’s just never enough of it. 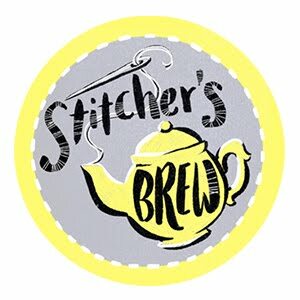 What inspired you to start your sewing/your business/your blog? 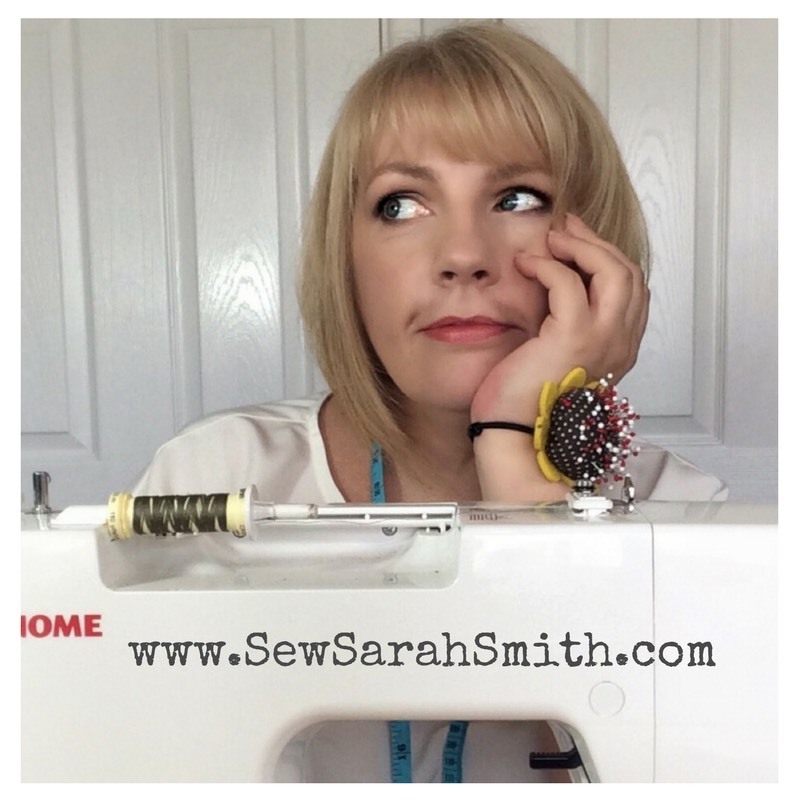 I started my blog in 2010 as I was learning loads and doing lots of research about the sewing pattern industry for the students I was teaching and realised it would be good to have a central place to put all that information! 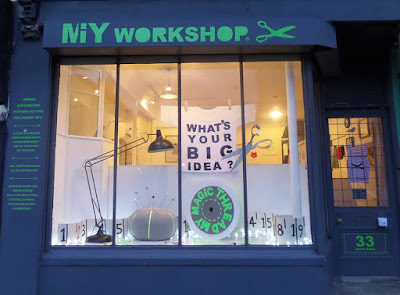 I decided to make the move to teach independently and got the keys to MIY Workshop on Christmas Eve 2011! 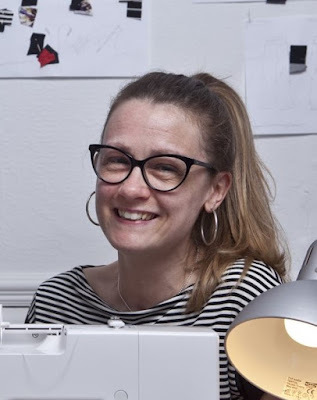 I did it because all the adult ed centres were starting to reduce their courses which I thought was crazy as I could see that there were still lots of people that wanted to learn how to make their own clothes. I started to release my own patterns in 2012 as lots of my students were already enjoying using them in my classes! Hailing from Yorkshire, I’m a very down-to-earth practical type and like to call a spade a spade!! MIY (make-it-yourself) is my slightly softer alternative to DIY. 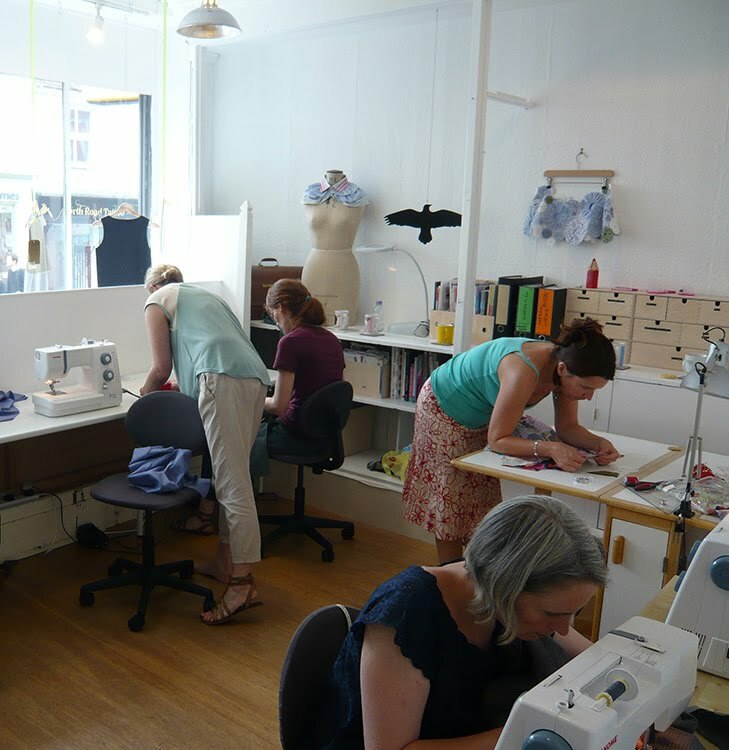 I have MIYWorkshop where people come to classes to learn how to sew and where I work in between classes and MIY Collection is my range of sewing patterns which I wanted to be a kind of democratic approach to fashion – enabling makers to not be dictated to by fashion and by what someone else says will suit them, but to be able to make their own collections of clothes. My patterns are always very customisable enabling users to either make up as the basic version or follow the ideas included to adapt them into their own style. I’ve been sewing since I was very young, I think I made my first garments aged around 12. 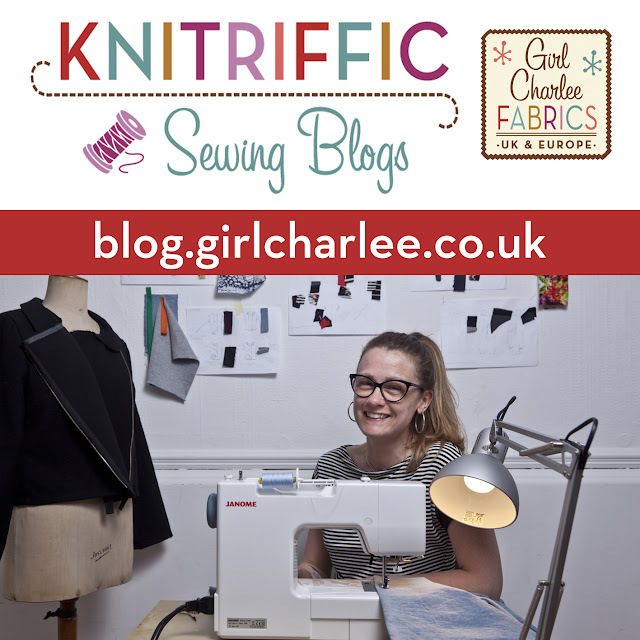 I started my blog in 2010 and my pattern range in 2012. My 2nd book (see below) is out this year and I love writing books, so I’d be happy to do more of that! I’ve also got a few new patterns in the pipelines and loads of ideas for other products but I’m keeping those under my hat for now to see how they develop! I’ve never been short of ideas! I think that’s a good thing but balancing the sensible business side of seeing things through and the creative side of always wanting to try something new can be difficult sometimes! I can’t imagine myself doing anything else now though and I love what I do. Despite my training and background I’m not a massive follower of fashion! Especially not faddy fashion trends like the latest trouser shape or the latest print designs, however, I am very inspired by bigger trends like the moves towards sustainable and ethical fashion, developments in fabrics and then the smaller details like for example, how shirt details have evolved over time. I love clothes that have to perform a function; I spent a long time working for an ethical clothing brand designing yogawear and I loved that project – really thinking about small details in the garments that would make them more comfortable to wear and perform better. I like to think of myself as an clothing engineer rather than a fashion designer! Imagining something in my head and being able to make it into a 3d reality and the calm flow I get from sewing. For me it’s one of those things that I’ve always been able to get lost in. I also think it’s a pretty basic fundamental skill. I mean, we’ve always had a need for clothes haven’t we? And I think it’s empowering to be able to do that for yourself, like any manual skill, I think it’s good for the soul. I can sometimes be a bit of a perfectionist although I’m getting better! A small amount of perfectionism is definitely a good thing, but too much can actually stop you doing things. Jen at Grainline has a great aesthetic and does an amazing job with her business. 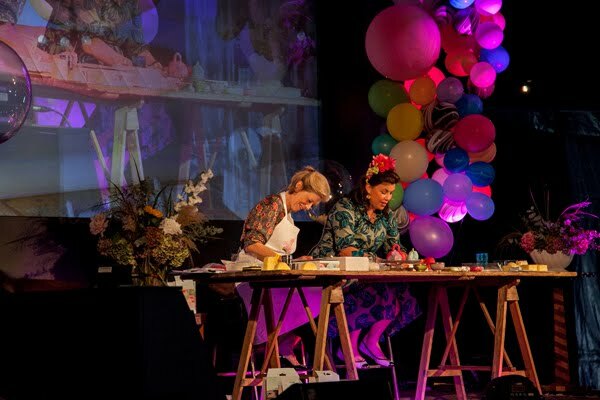 Claire-Louise Hardie is rather a force of nature! 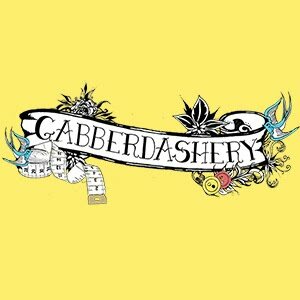 How she manages to combine her work on the Sewing Bee with teaching and her costume work is amazing. 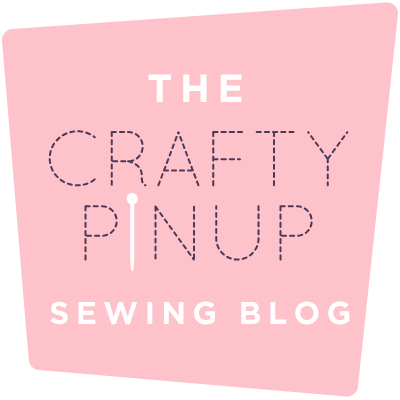 Thanks to Wendy for her time, and of course her brilliant blog & patterns! If you haven't visited Wendy's blog, do it now - there's so much interesting stuff! 1. 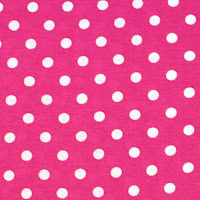 A hot pink cotton jersey with white polka dots (who doesn't love a polka dot! ), perfect for some funky Wolf & Tree Footed Tights. 2. 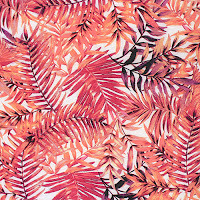 A really beautiful palm leave design slub cotton jersey in pink and purple. Great for a lightweight Evangeline Midi Dress by KZJO Studio. 3. 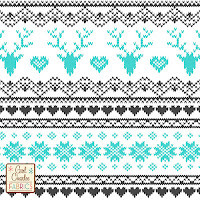 Our popular turquoise charcoal fairisle deer cotton jersey is back in stock so grab some before it sells out! So many gorgeous christmas make ideas for this, how about a cute Emery Romper by Striped Swallow Designs (available in Child and Baby sizes). 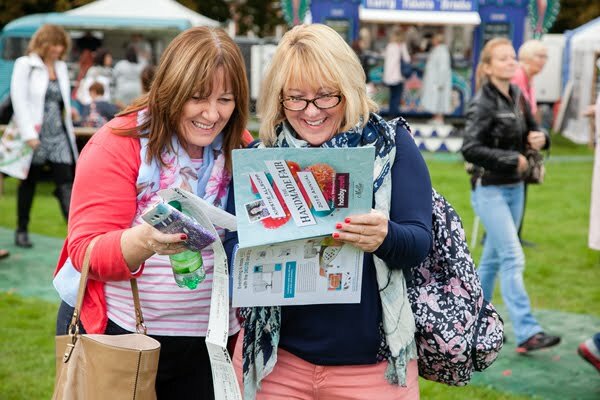 Only 2 weeks to go until the Handmade Fair, we're really excited to be exhibiting for the first time. If you are going, please be sure to come along and say hello! We've got some exclusive new fabrics on show (not available on the website yet) plus the debut of our "Bolt" range (more on this later! ).